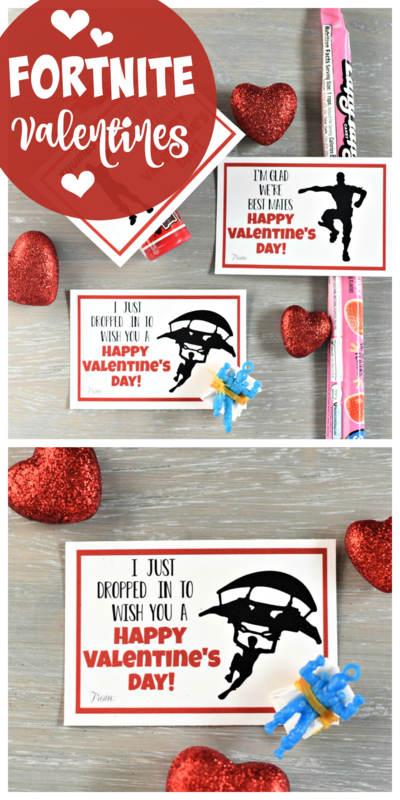 A Peek at the Fun: Do you have little fellas who want to give the “cool” Valentines this year? 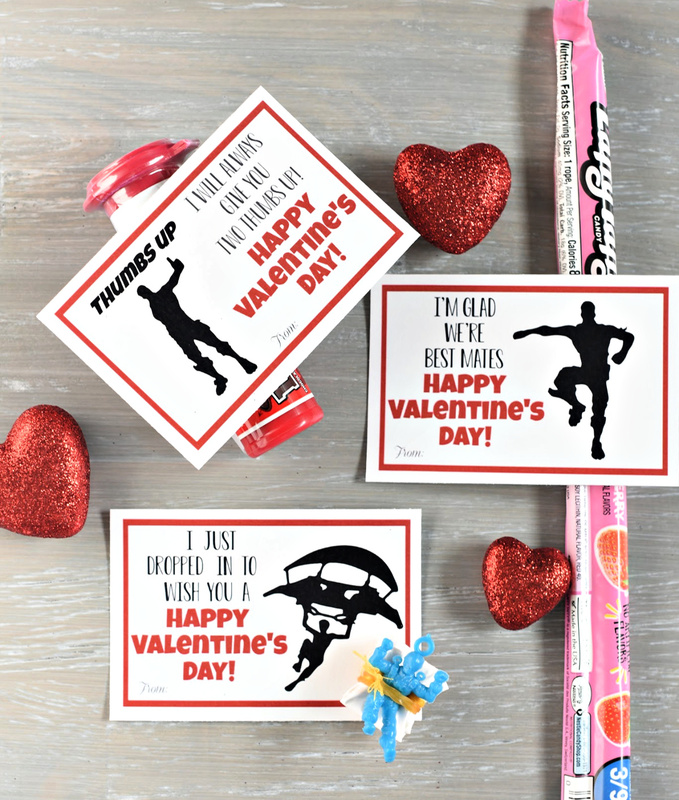 We have some fun Fortnite Printable Valentines your boys will absolutely love! We have 7 boys between us with no girls in site, so when it comes to giving Valentines we know what the boys are looking for. They definitely want to stay away from “mushy” Valentines, and they certainly don’t want anything to do with the “L” word!! 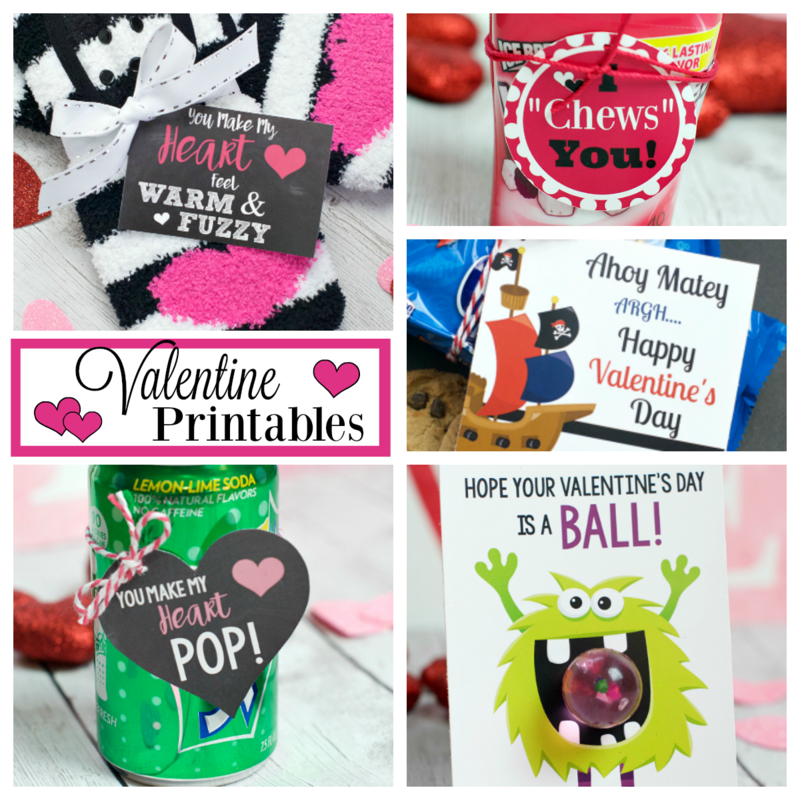 So finding the perfect Valentines for your little guys to give to their classmates can get tricky. 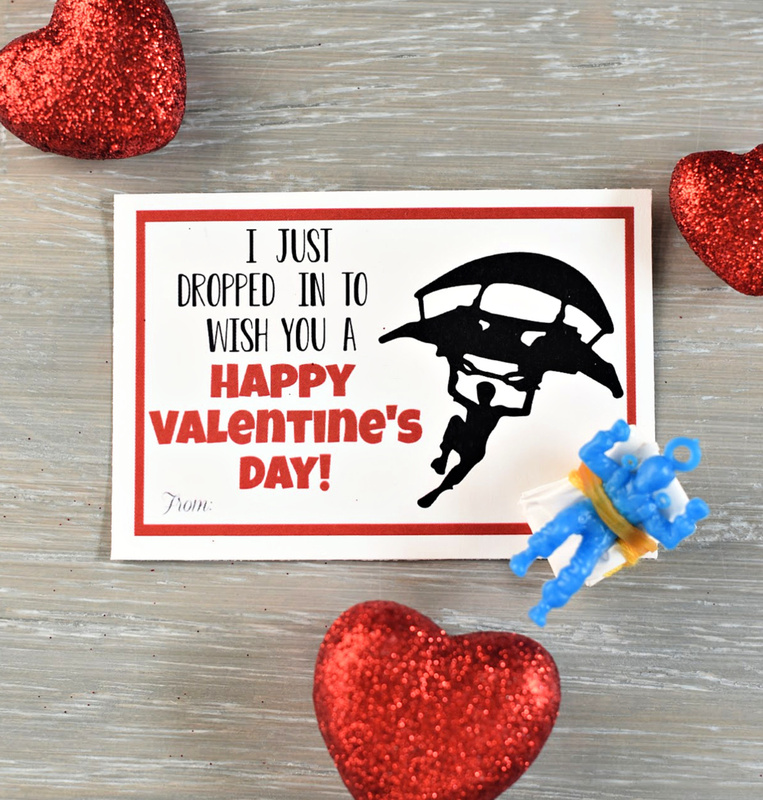 Don’t you worry, we have you covered with these fun Fortnite Printable Valentines. 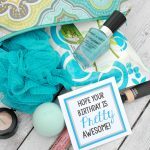 Your boys will love them and what’s even better is that they are super simple for us mamas! Aren’t these perfect for those little fellas who are more interested in being cool than being sappy!? 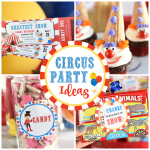 🙂 And really they are so easy, simply print them and add them to any candy you choose. We have them all ready to print at the end of the post. 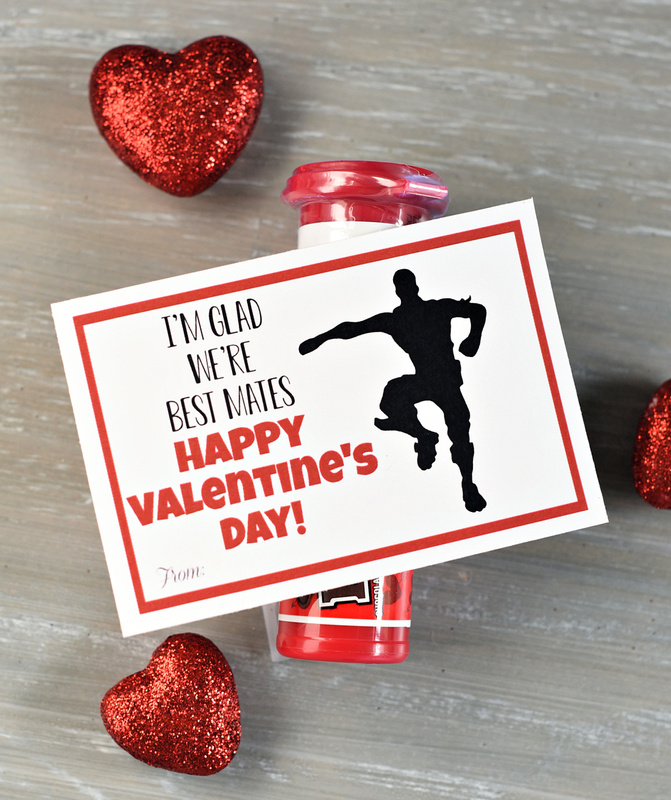 Let’s take a closer look at these Valentines. 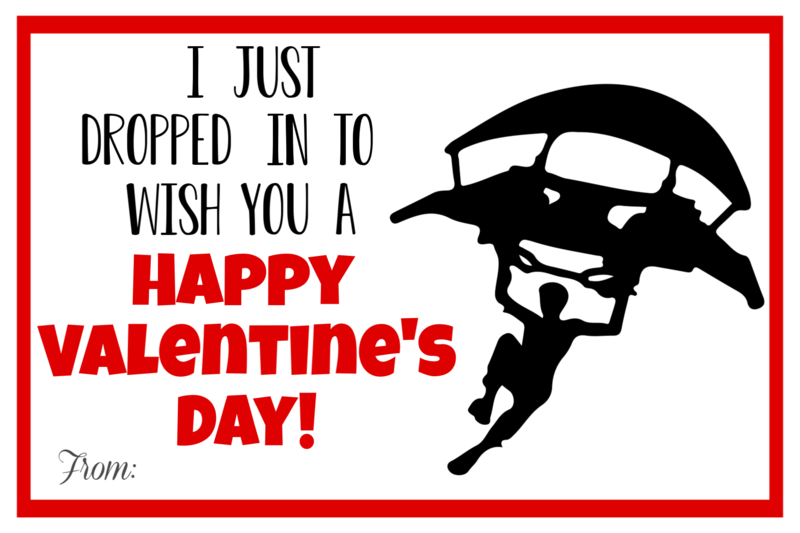 For a fun option, we paired this Valentine with a parachute figure which is very Fortnite inspired! And it is a great non-candy option. 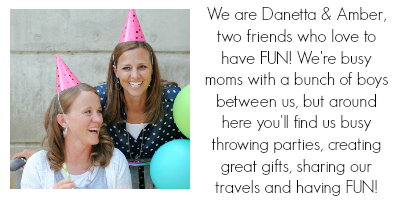 We know the kiddos get plenty of candy on Valentine’s Day! 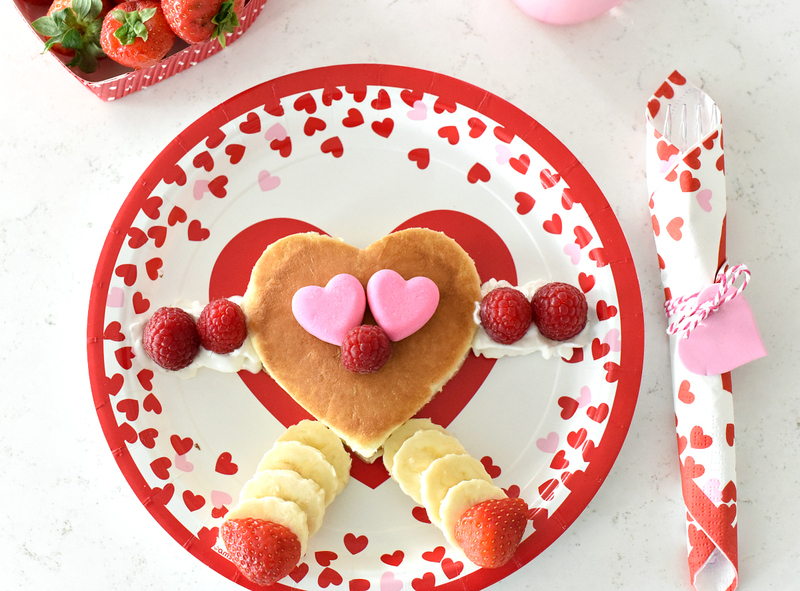 Simply print, cut and add whatever you want to give and you are ready to celebrate Valentine’s Day. 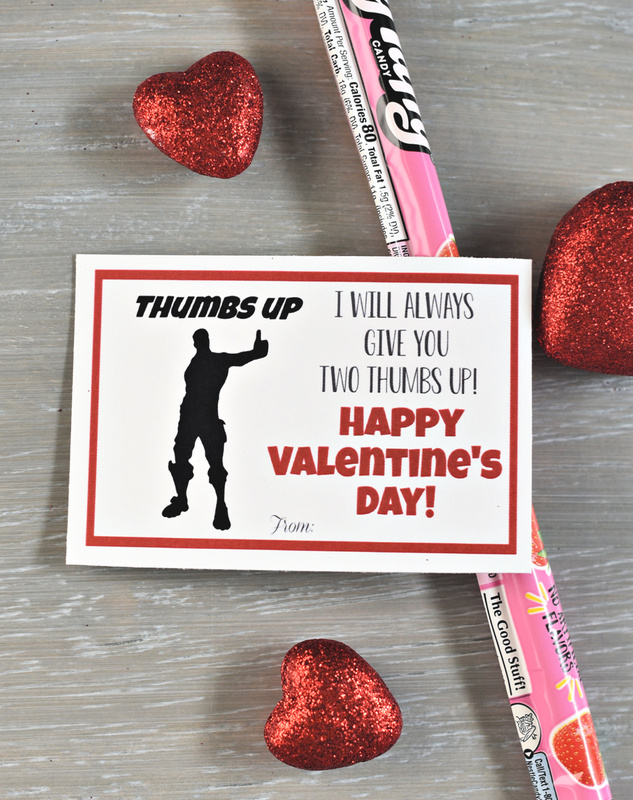 Your little Fortnite lover will be thrilled to give these Valentines. 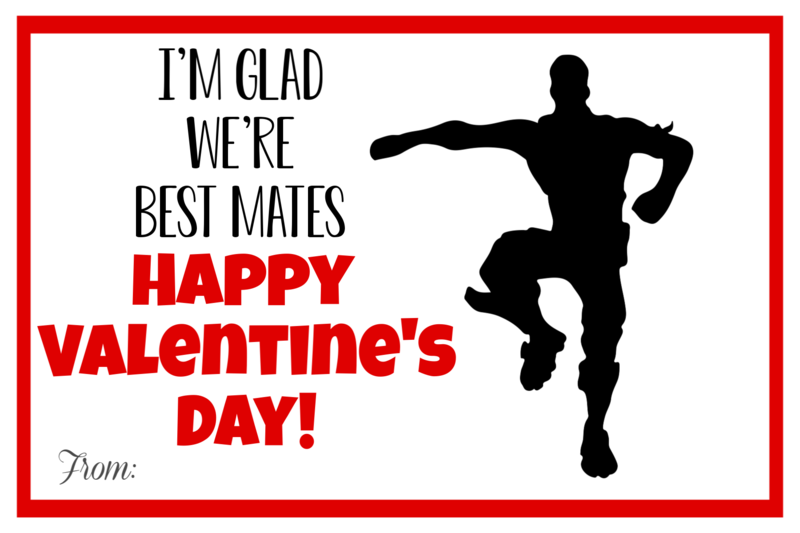 We have these Valentine’s all ready for you to print. Simply right-click to save it to your computer, then open it in a program like Pages or Word, size it how you want, and print. 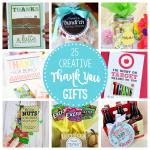 OR, here’s a PDF file with all of these tags ready for you. 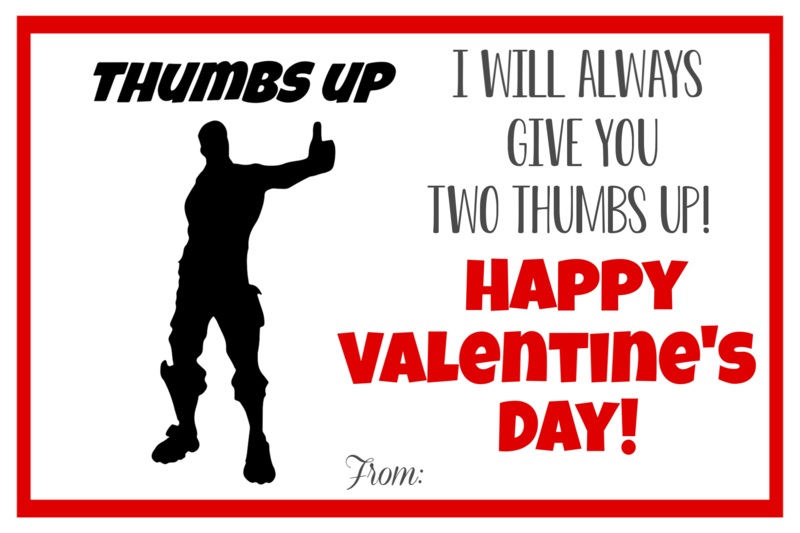 Have FUN giving these Fortnite Printable Valentines.